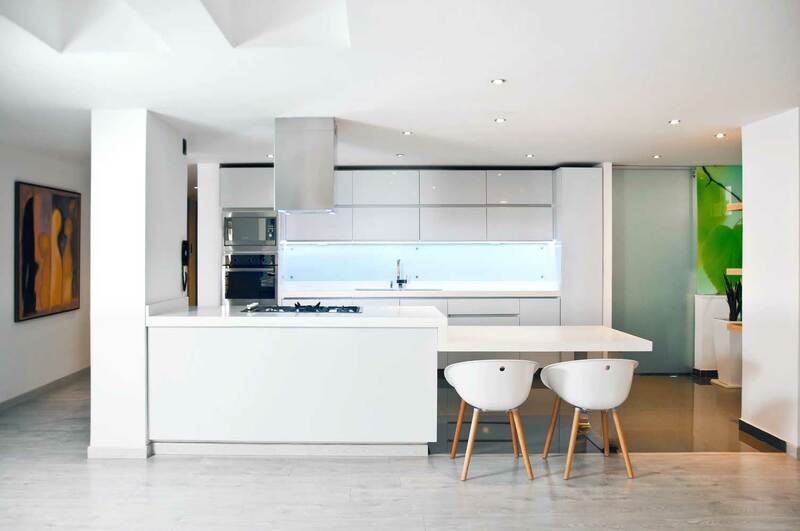 Open-plan kitchen diner: the kitchen is separated from the living area by a breakfast bar which can be used as a countertop or as a dining table. It can be built in or a piece of furniture with chairs and stools. It is also known as peninsula since it is attached either on a wall or on a piece of furniture. Single wall kitchen or kitchenette: the kitchen relates to the adjacent living area. It can be hidden behind some cupboards and pushed along the wall. There is no partitions or walls. Kitchen with an island: an island is a countertop placed in the middle of the kitchen. It is not attached on any wall or piece of furniture. It can be used as a countertop or it can be equipped with vitro electric stove, extractor hood and sink. There are a wealth of options, your imagination is the only limit! Although different sizes are available, it is best choice for larger kitchens. Separate kitchens can also have an island. Kitchen with dining area: as its name suggests it has a dining area with space for a table and some chairs. It may have some sort of partition such as a breakfast bar. In Spanish this is also know as “cocina-office”. Kitchen with an island: as in the open-plan kitchens, there is a detached countertop in the middle of the kitchen. And what about you? Which one is your favourite?